A distinctly barrel-aged spirit, Patrón Añejo develops a sweeter profile over time due to its interaction with oak barrels for 12 to 15 months. Big wood notes become prevalent during this time without overpowering the baked agave flavors that are uniquely Patrón. Perfect for sipping or in your favorite cocktail, the spirit also features an elegant, smoky sweet finish. Sip Patrón Añejo neat or in a craft cocktail, as it makes an incredible bourbon or whiskey substitute. Many people find Patrón Añejo to be the perfect after dinner drink or dessert accompaniment. Patrón Tequilas are handcrafted at the Hacienda Patrón distillery in Jalisco, Mexico where people are the heart of the process, one that has remained the same since the very beginning. First, skilled jimadors uproot only the finest 100% Weber Blue Agave with the perfect sugar content and transport the heart of the plant to Hacienda Patrón where they’re hand chopped, baked and then crushed by a two-ton volcanic stone tahona wheel and a roller mill. The spirit is then fermented, distilled in small batch copper stills and placed in a variety of oak barrels to rest for at least 12 months. Send a one-of-a-kind gift. Custom engraving available on Patrón Añejo. 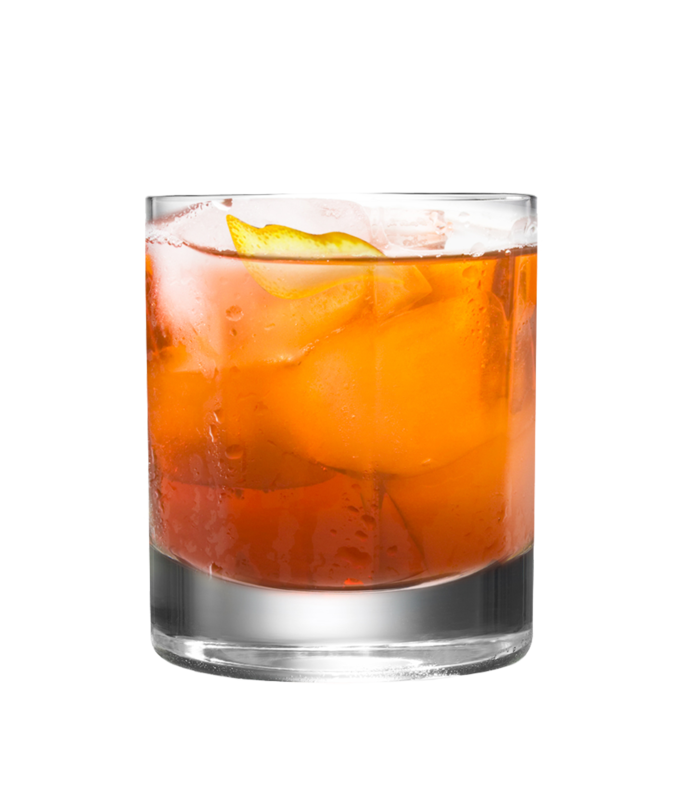 Over a double old fashioned glass, use a vegetable peeler to take off two strips of orange zest, making sure to express the oil into the glass. Add Patrón Añejo, simple syrup, and bitters. Add ice—the biggest cubes you can find—and stir. Adjust sweetness to taste.